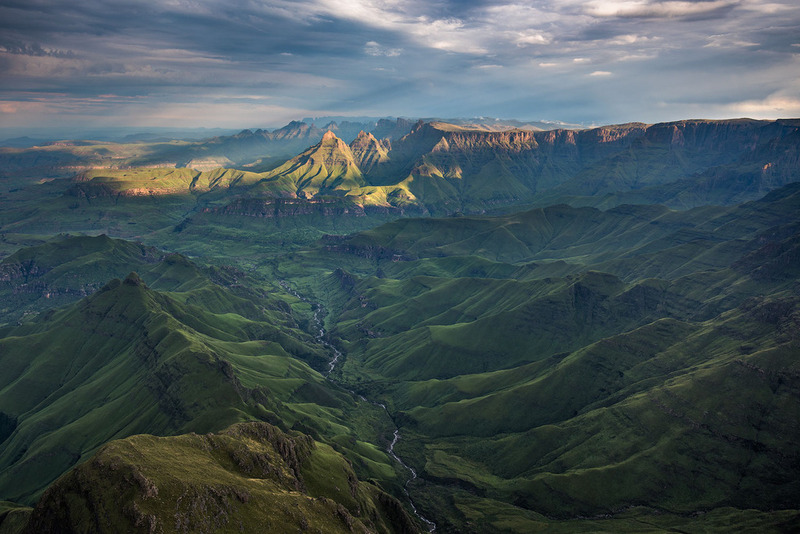 The Drakensberg is a spectacular mountain escarpment in the heart of South Africa. 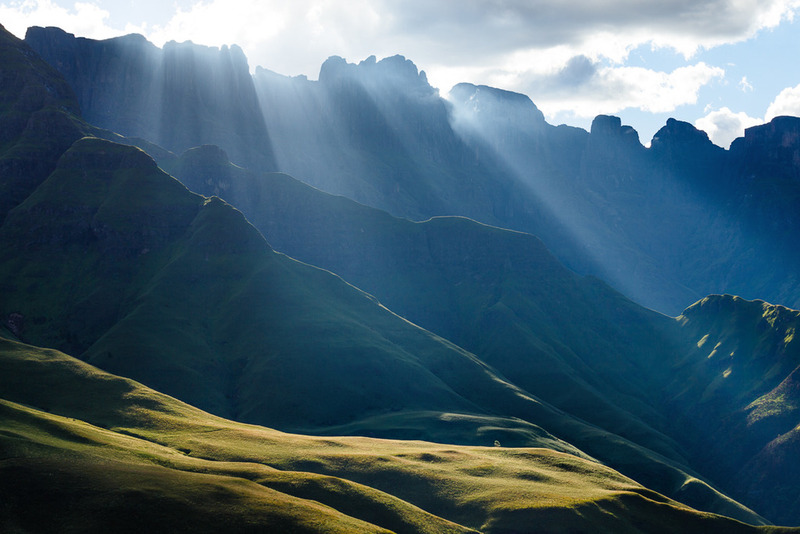 Also known by the Zulus as uKhahlamba, The Barrier of Spears, it includes vast cliffs, jagged ridge lines and endless pinnacles. With incredible weather conditions and awe inspiring scenery this is a UNESCO World Heritage site and prime photographic location that remains completely off the beaten track. 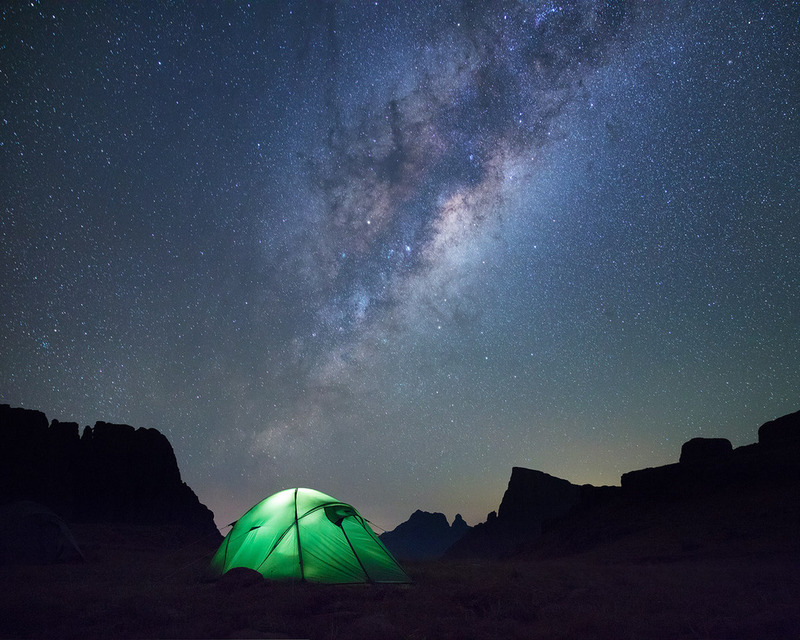 In this, my 4th Drakensberg Workshop and 8th trip to the area we will be visiting a couple of locations that the other workshops have not visited and hiking for an extra day. 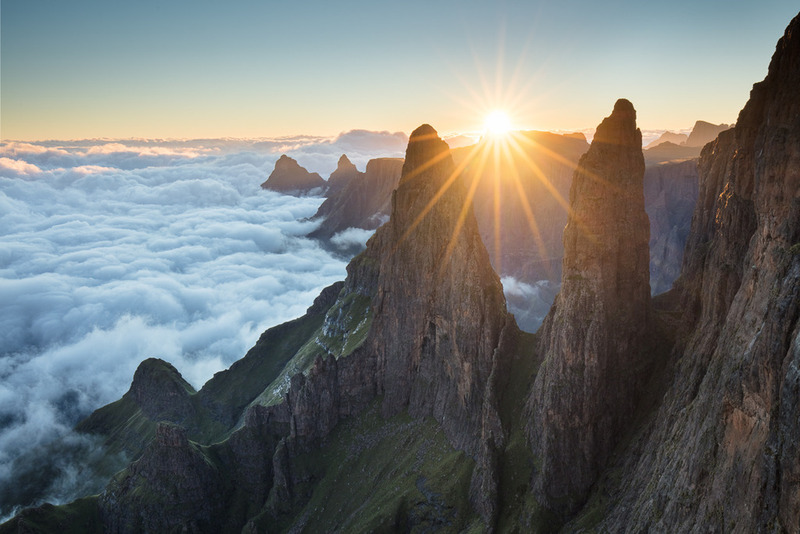 We will also take in all the most spectacular locations I have visited on previous trips making this the ultimate Drakensberg hike. During this 7 day partially portered trip we will backpack along the top of the escarpment staying at altitudes over 3000m. 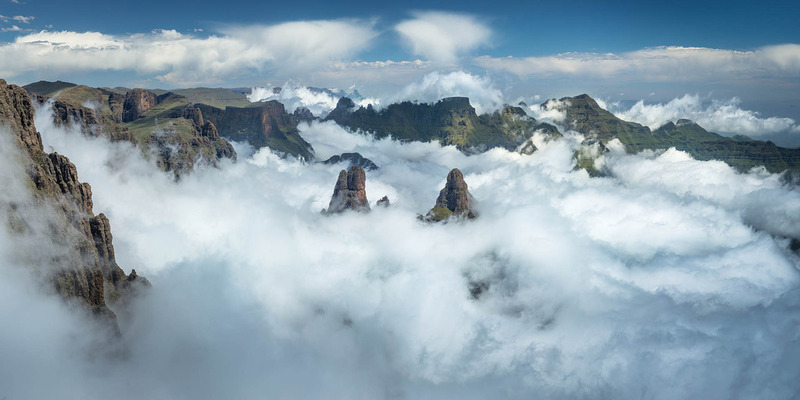 In the mornings mist swirls around the valleys below with the bark of baboons echoing off basalt cliffs. 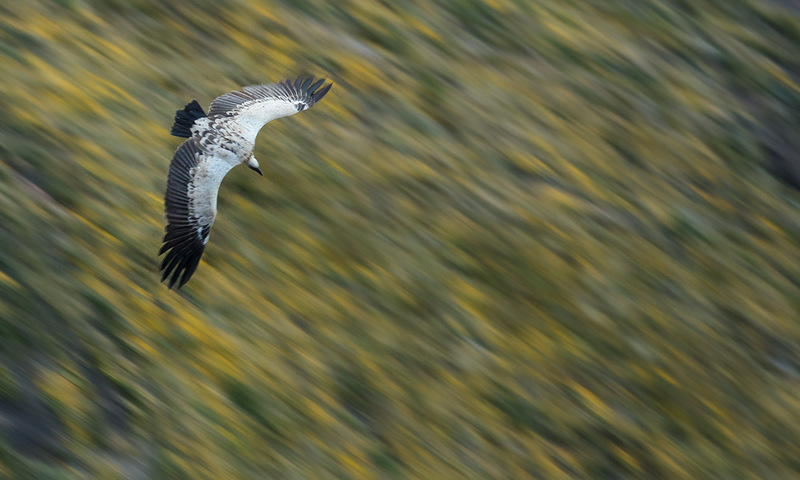 Cape Vultures, Lammergeier and eagles soar overhead. 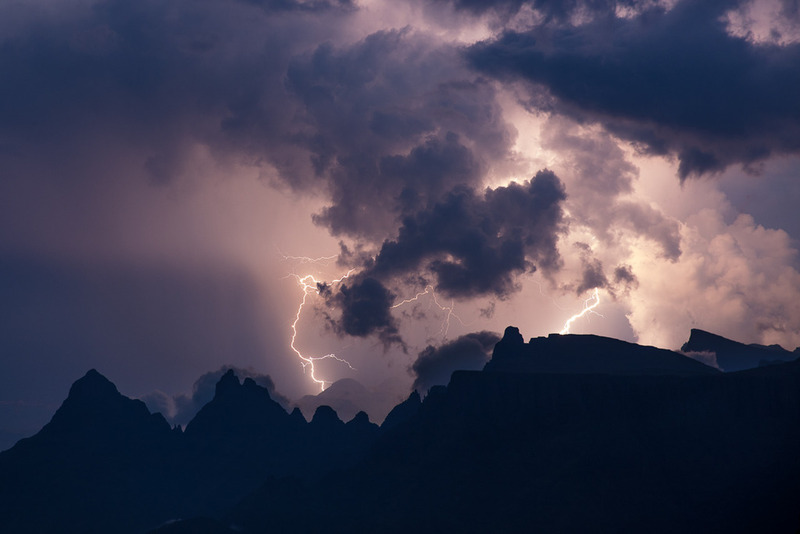 In the afternoon thunderstorms crash around the mountains often bringing dramatic lighting conditions. Please pay the deposit to reserve your spot. Each day we will get up for sunrise at 4.30. After breakfast we will start hiking among the hills of Lesotho. We will cover moderate distances each day (around 10km, longest 15km) and aim to set up camp around midday. Our campsites are in the most picturesque locations possible. 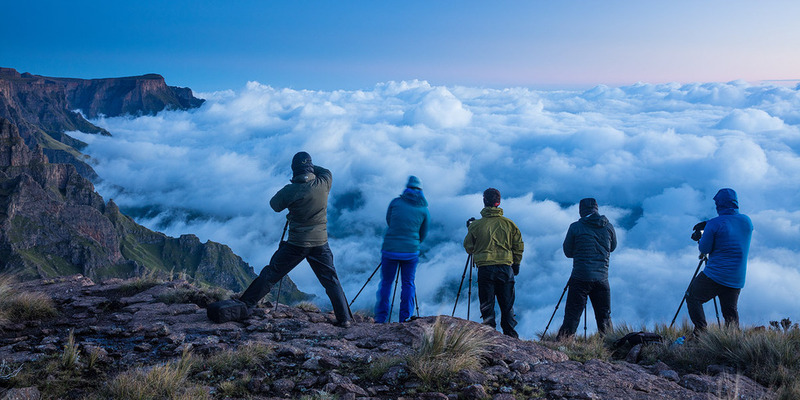 In the afternoon and evening we will photograph spectacular vistas and watch thunderstorms form. If the storms hit we will retreat to the shelter of the tents (we will camp in lightning safe locations). 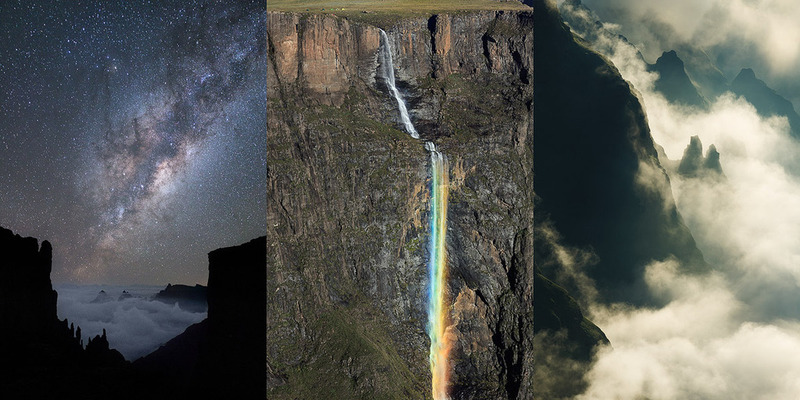 During the trip we will camp above the world's second highest waterfall, Tugela, swim in high mountain streams, visit vulture colonies and take in the most notable features of the Northern Berg. Once we have left the Amphitheatre we will be in a remote landscape which few photographers have ever visited. Our Zulu guide will provide insight into the landscape and people whilst porters will take some of the load off your back! We will hike among the beautiful rolling hills of Lesotho and often run into local Basotho shepherds and their livestock of sheep, cows, goats and donkeys. At various points along the hike, and at the end of each day, we emerge at the edge to awe-inspiring views. I will be on hand at all times to help you with your images should you wish. With a modest group size (maximum 5) there will be plenty of opportunity for 1-to-1 time. On the other hand advanced photographers have often joined me on these trips to expand their horizons in a new way. The level of independence and tuition is entirely flexible, depending on individual interests and needs. At this altitude the oxygen levels are only 70% of what you might be used to at sea level, but the distances we are covering are not significant. We will contour the hills as much as possible to avoid significant elevation changes. The group will have the use of 5 porters, each of whom can carry 8kg. Based on this you can anticipate your backpack weighing around 16kg at the start of the trip and 10kg once you have eaten all your food! You do not need prior backpacking experience to come on this trip however you should be walking fit and free from injury. It is very likely that we will be hiking in unbroken sunshine and the November sun at 3000m is severe - sun protection is essential. You should dress for warm days (up to 20 Celsius), heavy rain showers and much cooler mornings/ evenings where it can get into single figures. I can provide high end lightweight camping equipment perfectly suited for the trip. This includes Terra Nova Ultra Quasar tents, Rab Neutrino 400 sleeping bags and NeoAir Xtherm sleeping mats. If however you would prefer to use your own sleeping kit, or bring your own mountain tent then you are welcome to. A full equipment list will be sent out at a later date. We will be staying in hotels at the start and end of the trip. Witsieshoek is perfectly situated at the bottom of Sentinel Peak with excellent views of the Amphithetre. You will have your own spacious room and shower facilities. At the end of the trip we will be staying at the luxury Catheral Peak resort where you will be sharing a twin room. The trip does not include flights, insurance, tips for porters or food and drink. There are regular overnight flights from Europe to Johannesburg from Virgin, British Airways, Air France, Turkish Airlines and others. Prices fluctuate through the year, you should be able to find a flight for between £500-£600. You should aim to catch a flight overnight on Friday 17th November landing some time before 1pm on Saturday the 18th. A 4 hour drive takes us to the Drakensberg. Return flights should be booked for the evening of Sunday November 26th landing on Monday November 27th. This workshop is priced at £1450 with a £500 deposit required to book your place. The remaining £950 is due 2 months before departure.